iotacons: Paper cube Spock iotacon art! 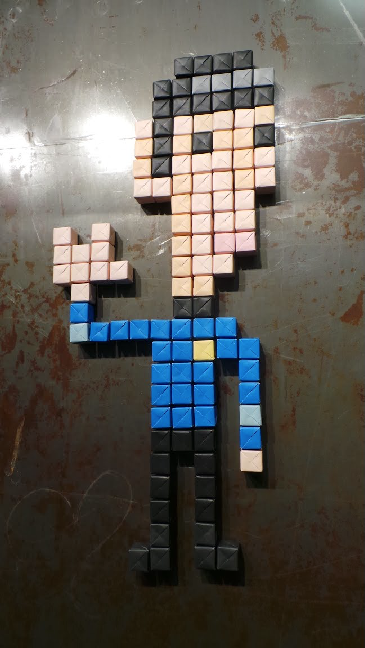 This paper cube Spock iotacon was created by kinetic street artist Mo²! This sculpture is hanging in the Cité des sciences et de l’industrie in Paris. Mo² was also the artist who created the kinetic spiderman iotacon pinwheel art you can see here. This guy is amazing. Please check out his work! Thanks, Mo²!